Client wanted to have a consistent look and feel across multiple Congresses while still having flexibility to showcase branding for each drug in the therapeutic area. Cost was also a factor due to the size of the presence they required and the unknown dimensions of individual rooms in each city’s Congress location. 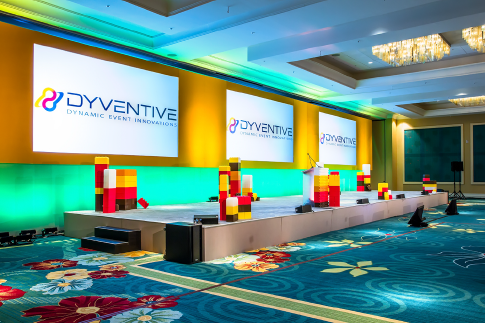 Dyventive engineered a modular, lightweight fabric and aluminum set that could take color very well for multiple branding options. The set was also very compact in nature to allow for low cost shipping and setup at each Congress and took up minimal space in Dyventive’s warehouse to allow us to store it at no charge. The Client realized a huge cost savings over using traditional hard-set building materials. The client was able to achieve a consistent look to their staging at each individual Congress, but still had the ability to brand it with color for each product. This was coupled with staffing the same on-site leads for a seamless solution regardless of the event location.